The credit card industry has become increasingly competitive over the last decade, with many credit card companies now offering reward credit cards with lucrative perks to entice new customers into signing up with them. While the rewards for these credit cards are prominently advertised to potential customers, many of the other features of the credit cards are not as obviously displayed. It is important to review these other features as well before deciding whether the reward credit card is the right one for you. Here are the reward credit card features you should consider before signing up. The first thing you should review when signing up for a reward credit card is whether you will be charged an annual fee or account maintenance fees for carrying the credit card. Many reward credit cards charge users an annual fee for the privilege of having the card, with the amount automatically charged to the card every year on the anniversary of its acquisition. Annual fees and account maintenance fees can be expensive, effectively reducing the benefit you get from earning rewards with the credit card. If you will not earn reward amounts higher than the fee amounts with your regular use of the reward credit card, then that card is not the right credit card for you. Another thing that you should take into consideration is the interest rate you will be charged for purchases when using the reward credit card. Many people make the mistake of assuming that the interest rate for purchases on a reward credit card will be competitive with other credit cards on the market, but this is often not the case. Some credit card companies charge a higher interest rate for their credit cards that offer rewards to offset some of the costs of the rewards they will be issuing to customers. Make sure the reward credit card you are considering offers a competitive interest rate for purchases before signing up for the credit card. 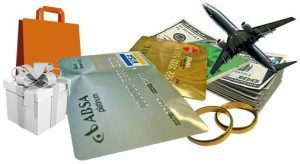 Many credit cards have different interest rates for different types of transactions made with the card and reward credit cards are no different. So you are not surprised by a high charge at a later date, review the interest rates charged for balance transfers, cash advances, foreign transactions, and any other types of transactions that can be made with the card. Knowing what these interest rates are will dictate how you can use the reward credit card to your best advantage. Fantastic thought! Thanks for sharing this post. Great!